Dr. Mandel Sher and Center for Cough team take care of PEOPLE. Each person, like a snowflake, is unique. So, it’s valuable to really review and listen to each person’s unique Cough story in order to accurately and completely diagnose the cause(s) and trigger(s) of Chronic Cough and launch a customized treatment plan. Contact Dr. Mandel Sher: Cough Specialist: 727-393-8067. Dr. Lewis Sher was hard working, steadfast, and devoted to family and faith. He served in the United States Army, delayed college and medical school to work as a newspaper delivery boy, in a grocery store, and as a “soda jerk” at a pharmacy counter in order to support his parents and help put his sister and two brothers through school. He became an expert in polio and was a pediatrician in Minneapolis, Minnesota. Those were the days of making house calls at all hours, checking-on sick children in hospitals, and bartering goods and services in exchange for an office visit when families needed financial assistance. Dinner-time for the Sher Family, included Dad Sher relaying stories about the kids and families he had helped that day or news of a patient’s accomplishment. 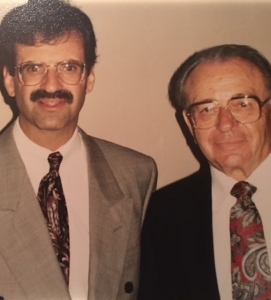 Dad Sher made meaningful connections with each of his patients. 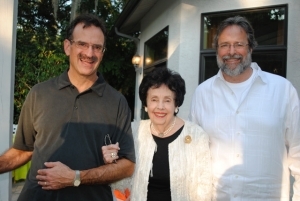 Dr. Sher’s relationship with each child generally began as a newborn and continued through young adulthood. He taught boys and girls how to make eye contact and offer a firm handshake. Later on, Dr. Sher would be invited to celebrate graduations and marriages. Humor, photogenic memory, keen intellect, the art of conversation, and kindness in the face of understanding the human condition, characterized Dr. Lewis Sher’s practice. 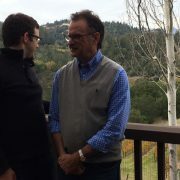 And, so it is with his son, Dr. Mandel Sher at Center for Cough. 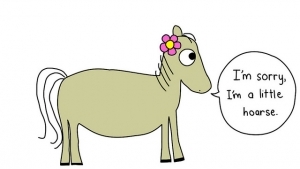 Sound Hoarse? : Got Vocal Cord Dysfunction Associated with Chronic Cough? See if you answer “Yes” to these questions: Do you feel and sound short of breath? 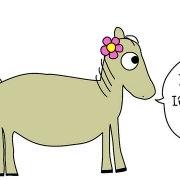 Do you sound hoarse? Are you a throat-clearer? Are you coughing? 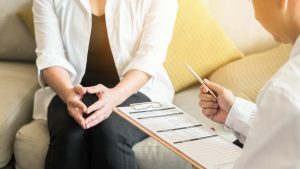 If any or all of these symptoms sound like you, then you may be experiencing what is known in medical parlance as vocal cord dysfunction (also known as laryngeal dysfunction). Vocal cord dysfunction can make breathing difficult and sounding hoarse may interfere with your professional performance and relationships. The very good news is that there are solutions for both Chronic Cough and vocal cord dysfunction. Dr. Mandel Sher, Founder of Center for Cough, is a dedicated Cough specialist who will help you. Dr. Sher and Center for Cough team offer an integrated and comprehensive approach to relieving and resolving your Chronic Cough. This approach includes easy to do-at-home voice therapy, breathing techniques, and throat clearing exercises. Contact Dr. Mandel Sher: 727-393-8067. Vocal cord dysfunction refers to a narrowing of the voice box area (larynx) that sits at the top of the windpipe (trachea) thereby producing a small opening for air to flow through. This can be the result of allergies, post nasal drip, and/or reflux. Because vocal cord dysfunction appears as a breathing problem, it is sometimes misdiagnosed as asthma but they are two separate and distinct conditions. If you have a persistent cough, also known as chronic cough, then you may also have vocal cord dysfunction. Treatment for vocal cord dysfunction, associated with chronic cough, is part of a comprehensive treatment plan. Dr. Mandel Sher is one of the nation’s leading Cough Specialists, offering patients a treatment approach that rapidly breaks the cough cycle and delivers rapid relief rather than by trial and error. Dr. Sher’s services are all traditional, evidence-based medicine that is recognized by Medicare and other insurance. The Center for Cough offers a convenient, one-stop shop for diagnostic and treatment services. Patients leave the initial evaluation visit with an evaluation of the cause(s) and trigger(s) of the chronic cough and the treatment plan. Contact Dr. Mandel Sher at Center for Cough: 727-393-8067. www.centerforcough.com. 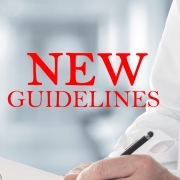 Chronic Cough diagnosis and treatment are also subject to clinical practice guidelines. Dr. Mandel Sher and his global cough colleagues play an important role in evolving and updating the medical community’s understanding, diagnosis and treatment of unexplained Chronic Cough. Dr. Mandel Sher is a world-class Chronic Cough expert and doctor. He and his cough doctor and scientist colleagues work tirelessly at patient care, clinical research, and medical community education and understanding to evolve the paradigm for Chronic Cough diagnosis and treatment. Dr. Mandel Sher’s and cough colleagues’ accomplishments are paving the way with new information that may be considered for updated clinical practice guidelines around Chronic Cough. Unexplained Chronic Cough affects approximately 12 percent of the population. While it is a common chronic condition, it is often misdiagnosed and not treated to achieve sustainable cough relief or resolution. Dr. Sher founded the Center for Cough and is helping people suffering with persistent cough to achieve remarkable cough relief and resolution. A cough that won’t go away may be an indication of a serious health problem or it may be that the Chronic Cough is THE problem. Annoying, Embarrassing, Disruptive with physical, social professional, and psychological consequences. Don’t wait – be evaluated. Why waste time and try other therapies that have side effects? Contact Dr. Mandel Sher: 727-393-8067. Dr. Sher WILL help you! 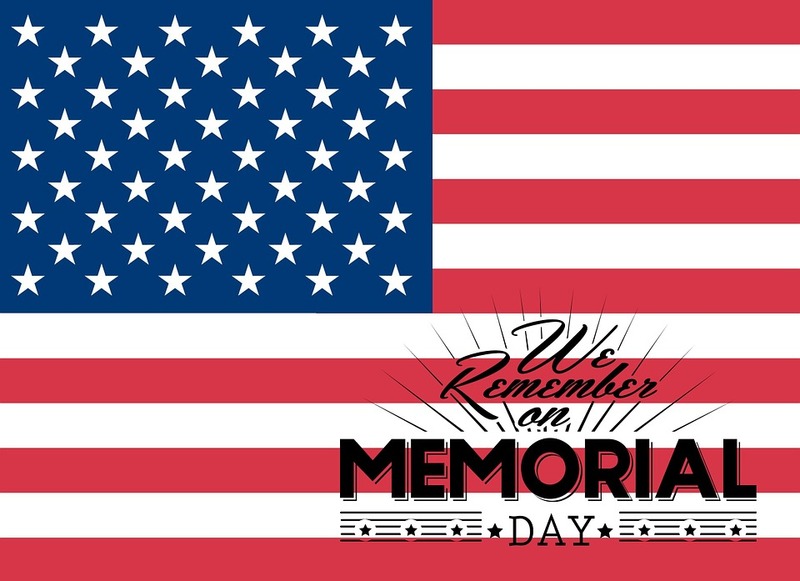 Memorial Day – A time to remember and honor the women and men who died while serving in the United States military. Thank You. And for many of us, Memorial Day kicks-off the start of the summer season. Summer breaks from our usual routine and summer travel may result in an exacerbation of Chronic Cough. 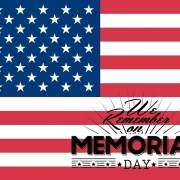 So, Memorial Day is also an opportunity to plan for summer vacations and be aware of those common factors that may trigger more frequent and intense coughing experiences. Diet: Summer vacation may include food and drink temptations that are just too good to resist! Fatty foods, Caffeine, and Alcohol are common diet triggers that may produce cough. So, be mindful as you make food and drink choices, and be aware of heightened cough associated with food and drink. Allergens: Your summer travel may find you in an environment with allergens not found at home and trigger an unexpected allergic response. Environmental allergies are especially variable from one place to another: Insects, Trees, Dust, Pets are a few common environmental allergies that may be present in your vacation getaway that are different from familiar home situations. Climate: Vacation destinations may have heat, wind, and dust that result in a “dry throat.” Dry throat may stimulate a tickle in the back of your throat that produces cough. Get Togethers: Summer vacations are a wonderful time to enjoy family and friends. Talking, talking, and talking some more may be throat drying and produce cough. Discipline: Summer travel and fun sometimes distracts us from adhering to our medication regimen. Remember, Chronic Cough is a Chronic Condition that does not take a vacation. Please take your medications as prescribed by your doctor(s). A health tip that is universally good for everyone, especially people with Chronic Cough, is: Stay Hydrated. Sip, Sip, Sip Water! Cough lozenges with pectin may also soothe a dry cough. 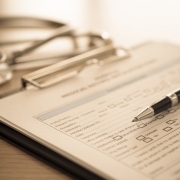 Medical paperwork matters. We can feel so annoyed each time we are asked to complete or update forms prior to a doctor visit, but it is so necessary and in our best interest! Think of medical questionnaires and forms as medical icebreakers – a quick way to get to know each other or catch-up with one another. Complete, accurate and up-to-date information is a turnkey to a productive visit. Medical history, Medications, Marital status, Diet, Lifestyle, Insurance, Address, Telephone number and other factors change from time to time. And those changes may affect your medical condition and/or the medical services needed. It is vitally important to communicate all changes to your doctor(s) and their patient business service team. The Center for Cough Patient Services representatives greet established cough patients by asking them to provide updated information since the last visit. A recent acute illness or change in medication may hold the keys to unraveling today’s cough visit. Information captured in paperwork is a medical icebreaker. It enables Dr. Sher and the Center for Cough team to quickly come-up-to-speed on each patient’s current and past medical situations and determine the roadmap for the visit. This launch helps make each visit productive. 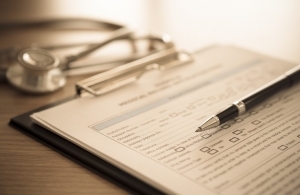 Cough patients leave an appointment with an accurate evaluation and customized treatment plan. Dr. Mandel Sher is a Cough expert. Dr. Sher’s and Center for Cough team’s approach to helping cough patients achieve REMARKABLE COUGH RESOLUTION is rooted in listening to the patient. As an expert, Dr. Sher is attuned to what to listen for and will often hear something in a patient’s medical narrative or read something in new patient paperwork that may unravel an unexplained cough. Happy Mother’s Day! Meet Dr. Sher’s Mom. Happy Mother’s Day! Mothers make the world go round. It’s a time-out to celebrate the wonderful women who shape our world and make it spin. I have the pleasure of working alongside women and collaborating with women on behalf of their own or their family member’s health and well being. Thank You to the women who are the human family’s glue. Thank You to the women who are mothers to another. 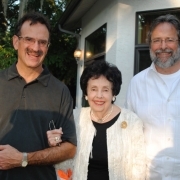 And thank you to my mother, Anita Sher. Let me tell you a little bit about my Mom. In this description, you may see yourself, your mom, or another woman who helps you along life’s journey. My mom is soft-spoken, gentle, patient, generous, and calm. Remarkable! given that Mom raised me and my brother, Craig, while Dad was making house calls on cold Minneapolis nights, rounding early morning at the hospital, and seeing patients from morning to night including Saturdays. Craig and I have always been each others best friends, and together, we could cook-up trouble. We were “good kids,” but we were kids! Broken bones, broken windows, broken hearts – we certainly pushed the envelope and challenged Mom’s good-natured temperament. But through it all, Mom was Steady Eddie. Steadfast. Dependable. Consistent. We knew what to expect of Mom and we knew what she expected of us. So, on this Mother’s Day 2018, I offer a heartfelt thank you to my mom and all the wonderful women who make this world a better place. Happy Mother’s Day! 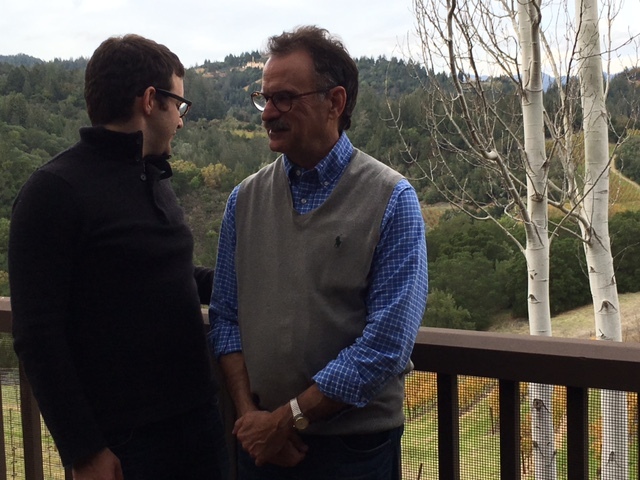 Dr. Mandel Sher’s birthday found him reflecting on past year and planning for year ahead. 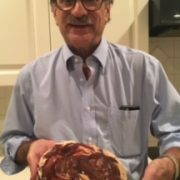 It’s a wrap – Dr. Mandel Sher’s birthday that is! 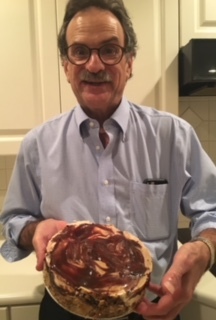 Lots of warm wishes; Mom Sher’s 3-flavor, 4-ice cream topping, cookie crust ice cream pie, gratitude for another year, and vision and goals for the year ahead – a perfect way to mark the occasion. Dr. Sher appreciates all the good wishes and thanks everyone for helping to make his birthday so special. be a tireless cough advocate. Dr. Mandel Sher and the Center for Cough team understand the debilitating consequences of persistent cough, respect each patient’s distinct medical narrative and cough journey, and believe Center for Cough’s integrated approach to cough treatment results in rapid and sustainable cough solution. Dr. Sher and Center for Cough are helping patients to achieve REMARKABLE outcomes! Over 8 out of 10 cough patients demonstrate a measurable reduction in cough frequency and intensity, and report an overall improvement in quality of life. Please contact Dr. Mandel Sher and Center for Cough team to find out how they can help you to conquer your cough: 727-393-8067. All services are traditional, evidence-based medicine that are eligible for Medicare and insurance coverage. 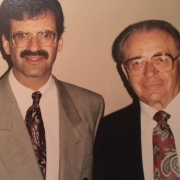 It’s Dr. Mandel Sher’s integrated approach to listening and connecting the dots that are innovative and transformative. Coughing and Peeing in Your Pants? Urinary incontinence describes involuntary loss of urine. It can be a few drops or complete loss of control. Urinary incontinence is a common problem but not a normal occurrence. Estimates are that 25 million people in the United States suffer from urinary incontinence. While both men and women are affected, 75 to 80 percent are women. According to research findings, women wait six years from the first time they experience urinary incontinence to seek medical attention. Dr. Mandel Sher and Center for Cough team listen attentively to each patient’s cough narrative and review each cough patient’s medical history. Cough patients’ firsthand accounts of embarrassment associated with persistent cough compounded by urinary incontinence validate the research findings. Contact Dr. Mandel Sher: 727-393-8067 to get rid of the cough and urinary incontinence due to cough. People, especially women, suffering with Chronic Cough often experience urinary incontinence as a direct result of cough. Get rid of the cough and also get rid of the urine leakage. Pelvic floor muscles that support the bladder in daily activities such as standing, laughing, and coughing, can be “stressed” and weakened. Pelvic floor muscle exercises, if done correctly, may help reduce urinary incontinence symptoms. Dr. Mandel Sher and Center for Cough team attribute their patients’ remarkable success largely to Dr. Sher’s comprehensive and integrated approach to treating the underlying cause of Cough as well as the symptoms. Pelvic floor muscle exercises are an integral part of effective cough relief. Dr. Mandel Sher is a global expert in resolving persistent cough, even when patients have failed previous therapies. As a cough Doctor, Researcher collaborating with world-wide scientists, Teacher within the medical community, and Advocate for cough awareness and treatment, Dr. Mandel Sher is consistently recognized by his peers as the ONLY “Best Doctor” for his specialty in Pinellas County. Contact Dr. Mandel Sher for a Cough Solution! Dr. Mandel Sher and Center for Cough: 727-393-8067. Chronic Cough often produces hoarseness and adversely affects vocal health. Voice exercises and vocal chord therapy are important steps to restore good vocal health and chronic cough relief. Dr. Mandel Sher and Center for Cough team appreciate the vital role of vocal health in their integrated approach to chronic cough treatment, relief, and resolution. Dr. Mandel Sher: World-class Cough Doctor close to home: 727-393-8067. Sometimes, we don’t stop to think about the adverse impact of lifestyle habits (such as smoking), shouting, coughing, and poor voice technique on vocal health and our overall well being. 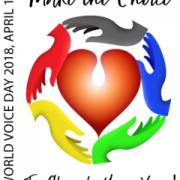 World Voice Day reminds us to take stock of our vocal health, and take action to improve or maintain good voice habits. 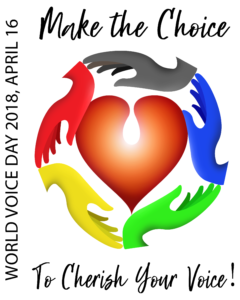 Good vocal health considers: preventing voice issues, maintaining vocal health, voice training, and rehabilitating voices are damaged. Vocal chord and voice therapy exercises related to chronic cough are generally simple, quick, and can be done throughout the day in the privacy of your home or office. Dr. Sher and Center for Cough are grateful for the excellent care their professional voice colleagues offer their cough patients. Chronic Cough is a common but often misdiagnosed and under-treated medical condition. Sometimes, a persistent cough is a sign of a serious underlying problem. Other times, a lingering cough IS THE problem. Chronic cough is debilitating, disruptive, worrisome, and embarrassing. Dr. Mandel Sher will offer an integrated approach to treating your cough and producing an effective and sustainable solution. Why wait for relief? A trial and error approach wastes time and money and exposes you to needless side effects. Get it right from the start…See a dedicated Cough Specialist: Dr. Mandel Sher: 727-393-8067. www.centerforcough.com. Dr. Sher sets-out hiking again. He’ll surely ask Coughing hikers on the trails about their experiences. Even cough takes a vacation. Dr. Sher and his family are hitting the trails this weekend. They are headed for a sunny, dusty, and windy destination. Wherever he wanders, Dr. Mandel Sher is always curious about the impact of weather conditions, altitude, blooming seasons of trees and grass, and vacation-eating on tickle in the back of the throat, urge to cough, and cough. Dr. Mandel Sher will be back in the office on Monday, April 16th ready to share his adventures with you. 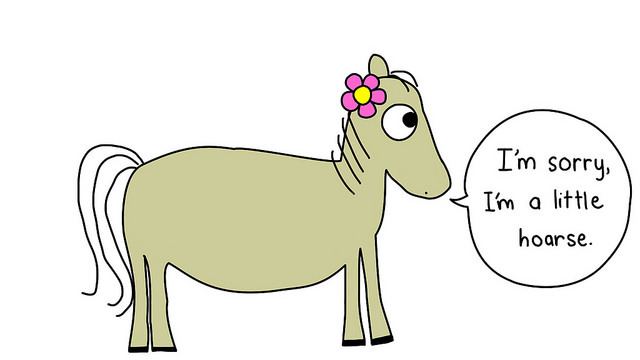 Until then, Happy Trails to You!